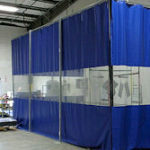 Akon can supply you with ESD Curtains. 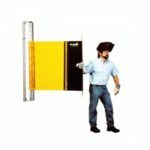 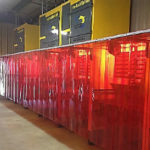 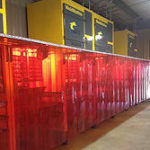 These Antistatic Curtains are critical for applications where any electrical discharge could pose an explosion risk or damage critical components. 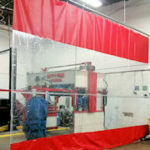 Unlike topically treated antistatic materials which can wear off after prolonged use, our line of industrial curtains is completely antistatic. 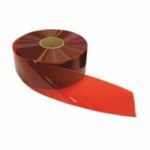 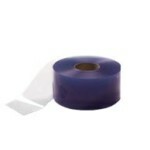 The ESD PVC film has an anti-static agent added at the compound stage making it last longer. 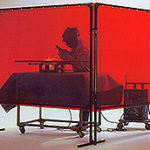 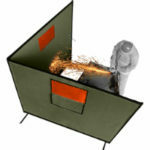 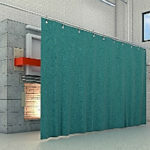 Also available are ESD grid curtains. 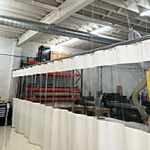 The appearance of these antistatic curtains is the same as any common PVC film. 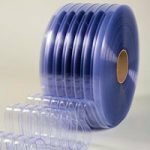 Both sides of the film have the same properties. 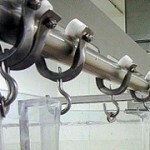 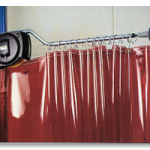 These curtains are commonly used in the following applications. 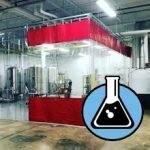 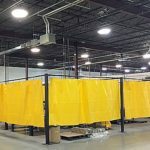 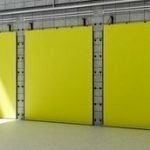 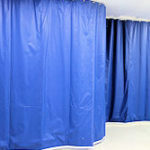 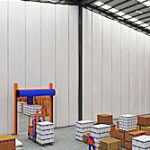 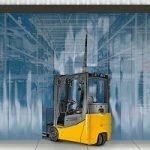 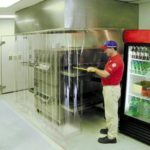 The Industrial ESD PVC curtains also have a great draping ability so that they can be used as protective covering for carts, instruments, or even entire walls. 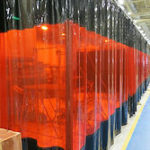 Akon has the ability to modify the ESD curtain films into almost any size and shape. 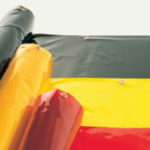 The available colors are clear, black and frosted. 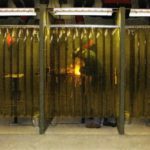 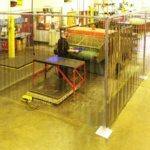 However, the thickness of the material does vary based on your application. 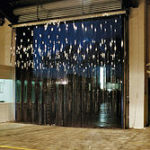 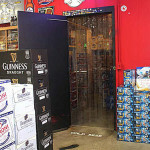 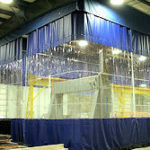 These curtains are an ideal barrier curtain wall for sensitive environments. 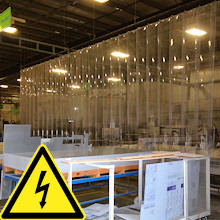 The honeycomb grids are installed on both sides of the PVC curtain for additional dissipation of static electricity. 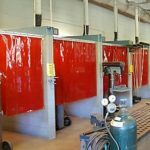 The material is 12mil thick. 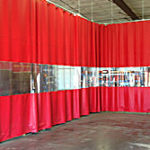 Strip curtains allow the rapid movement of people and material from one side to the other. 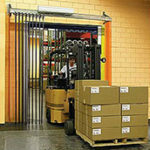 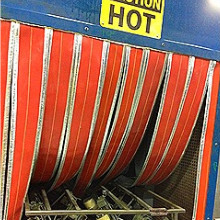 The strips come in widths of 4” up to 24” depending on your application needs. 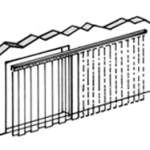 Like the anti-static grid curtain shown above, the curtain walls are generally thicker and more robust. 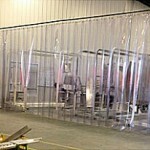 They come in thicknesses from 14 mil to 120 mil. 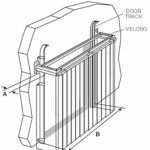 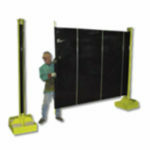 These can be installed as static fixed in place barriers or movable side-to-side walls via industrial track. 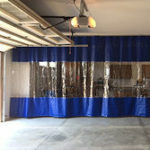 Less expensive than the thicker ESD PVC curtain mateial above, the ESD Vinyl curtains are thinner and more flexible. 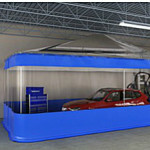 They are custom made to your specific requirements just like the other materials.